A wellness center dedicated to inspiring Life in Balance using ancient wisdom, practices and arts. Holistic Medicine is a form of healing that considers the whole person - body, mind, spirit, and emotions - in the quest for optimal health and wellness by gaining proper balance in life. 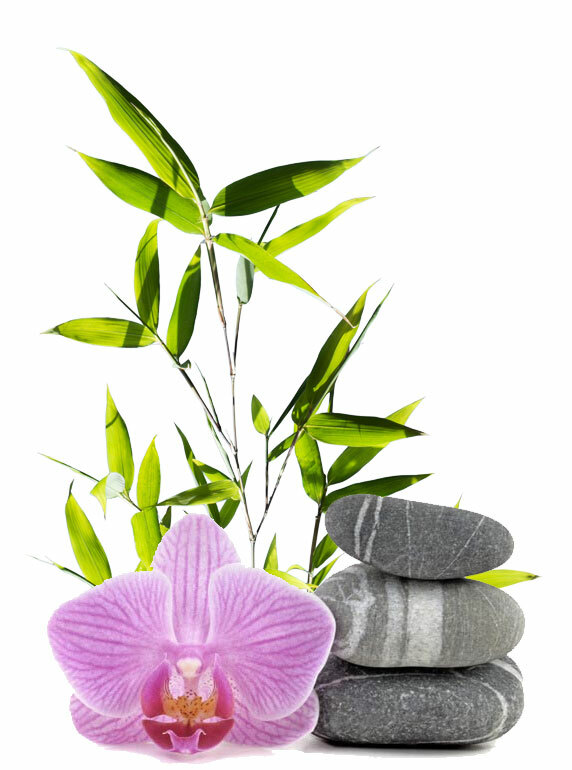 We offer Acupuncture, Ayurveda, Homeopathy, Aromatherapy, Herbal Medicine, etc. Acupuncture treats variety of chronic, acute and degenerative conditions. 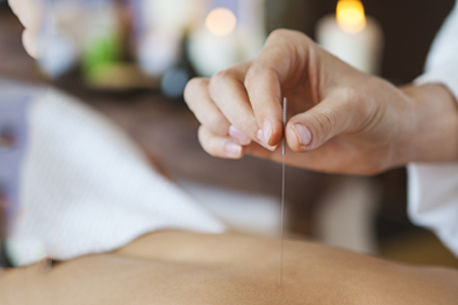 If you're interested in acupuncture therapy in the Miami FL area, count on Shiva Wellness Center for drug-free alleviation of chronic pain and symptoms from a variety of disorders. Ayurveda is a type of Holistic Medicine based on the belief that health and wellness depend on a delicate balance between the mind, body, and spirit. 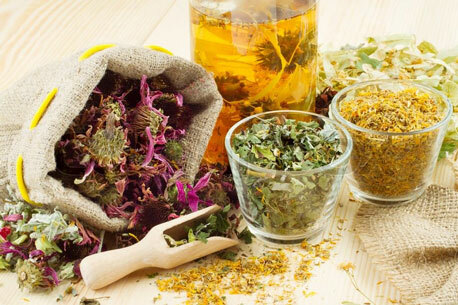 The primary focus of Ayurvedic medicine is to promote good health, rather than fight disease. It bring people into optimal health. 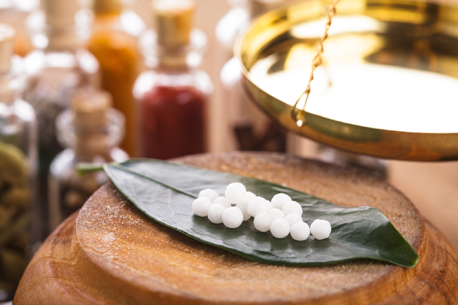 Homeopathy is a safe, gentle, and natural system of healing that works with your body to relieve symptoms, restore itself, and improve your overall health. Homeopathy aims to aid and stimulate the body's own defense and immune processes, it can treat physical and emotional problems. This is a complete holistic system of medicine, which uses the healing properties of medicinal plants. Each patient is treated on an individual basis according to his needs. This approach is experiencing a huge resurgence as consumers seek out alternatives to synthetic, costly and potentially harmful drugs. 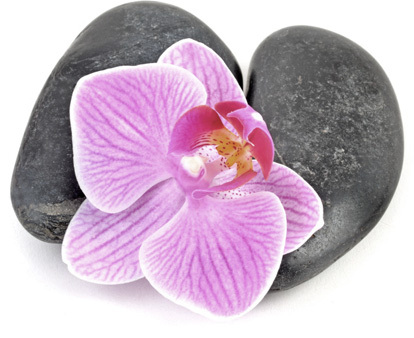 A complementary therapy based on the healing properties of essential plant oils. Aromas of pure essential oils, extracted from plants, are used to relax, balance and rejuvenate the body, mind and spirit. 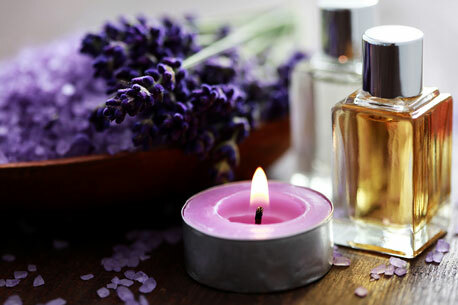 Aromatherapy helps improve the quality of life on an emotional, physical and spiritual level. Massage therapy dates back thousands of years. It's used for a variety of health-related purposes, including to relieve pain, rehabilitate sports injuries, reduce stress, relaxation, address anxiety and depression, and aid general wellness. A few types are: Shiatsu, Thai, Prenatal, Swedish and more. A healing, hydrating effect with the use of natural organic products. For well-kept hands and feet. 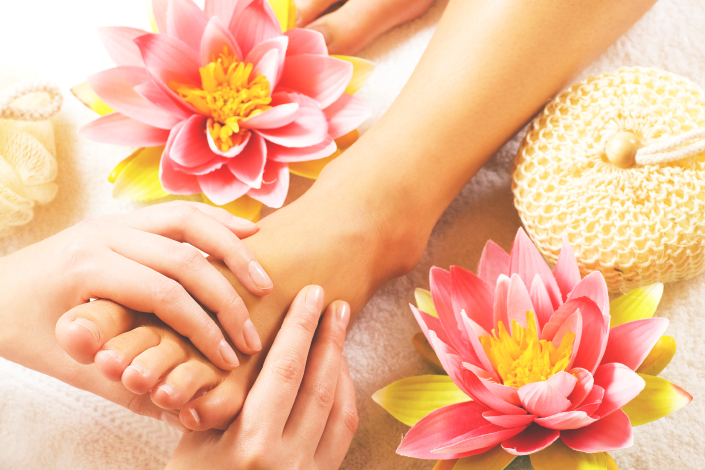 Our Reflexotherapy helps easing pain, relieves tension and restores energy while vitalizing and softening hands and feet. 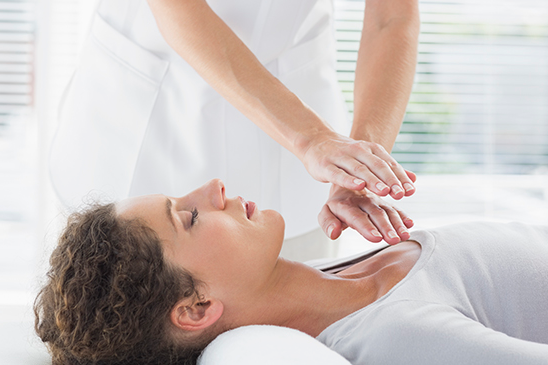 Reiki is a system of enlightenment and a healing therapy that uses light touch from the practitioner to channel healing energy to the recipient. Relieves physical and emotional pain, balances the body's energy and promotes spiritual clarity. Our Body Treatments help improve circulation, heal dry skin and leave your skin smelling and feeling beautiful. Some of the offerings are Herbal Body Wrap which detoxifies the body and opens up the pores. Vacuum Therapy and Cellulite Removal to tone the skin, Ionic Foot Bath and more. This is a manual therapeutic procedure for remedying distortions in the structure and function of the craniosacral mechanism, the brain and spinal cord, the bones of the skull, the sacrum and inter-connected membranes. It is used to treat chronic pain, migraine headaches, TMJ, etc. 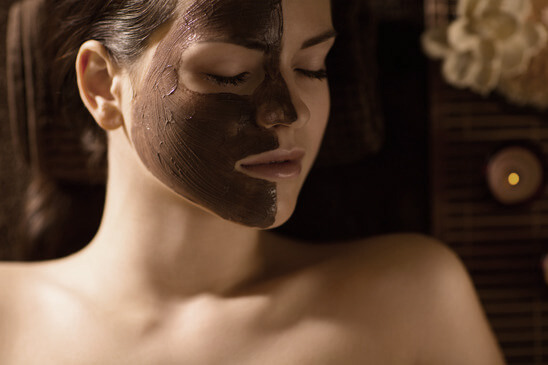 Keep your skin looking rejuvenated and healthy with these specially designed facial treatments. Erase any signs of aging by firming and revitalizing the skin with all natural products. It encourages new skin growth and diminishes wrinkles. We also offer Acne Treatment and Acu-Facial. About our Wellness Center and Spa	Revitalise your senses and refresh your mind! SHIVA ANASSERI, L.A.P. , D.O.M. Shiva Anasseri, is a Florida-Licensed Acupuncture Physician with a Doctor of Oriental Medicine Degree from Miami’s Acupuncture and Massage College and a holder of a Master degree in Auricular Medicine from Auricular Medicine International Research and Training Center. She graduated in 1997 with outstanding achievement in Homeopathic Medicine from Florida School of Southeast Institute, (Miami, Florida). She is a Sai Ayurvedic College graduate with a Post-Graduate Diploma in Ayurveda and is certified by National Ayurvedic Medical Association (NAMA). She uses many other therapies such as Electro Acupuncture, Magnet Therapy, and Korean Hand Therapy to treat her patient's and assist them to find comfort, peace of mind and reduce their physical pain. Her experience has been acquired over nearly 20 years in practice. As the founder of Shiva Skin and Hair Products, she produces an extensive line of finest quality natural and therapeutic skin and hair product such as lotions, lip balm, soap and hair oil treatment to optimize the beauty and vitality as well as total well being of her patients. As an Acupuncture Physician, and Aroma Therapist, she offers her patients a unique blend of alternative treatment. Her commitment to continuously enhance her ability to treat patients has led her to complete The Reiki Master program, become certified in CraniolSacral Therapy, and complete special Advanced training in the field of Herbology and Reflexology. She is certified Acupuncture Injection Therapist from East West College of Natural Medicine and uses the finest treatment for face rejuvenation and pain management to improve health, beauty, and wellness. She also specializes in the treatment of Pain Syndromes and Gynecological Disorders. She is a Bored member of Acupuncture and Massage College, Faculty Member and instructor of Sai Ayurvedic College and Ayurvedic Wellness Center, and a member of Florida State Oriental Medicine Association since 1999. Shiva Wellness Center provides many valuable services by our licensed professional Cosmetologist, Aestheticians, and Massage Therapist. SPECIALTIES: The treatment of all types of pain syndrome such as neck, shoulder and back, weight reduction, stress, anxiety, sleep disorder, cosmetic acupuncture for wrinkle and skincare, sinusitis, arthritis, headache, migraine, and gynecological disorder. Find fast relief with the gentle and effective therapies of Acupuncture, Massage, Ayurvedic Medicines, Reiki and more. 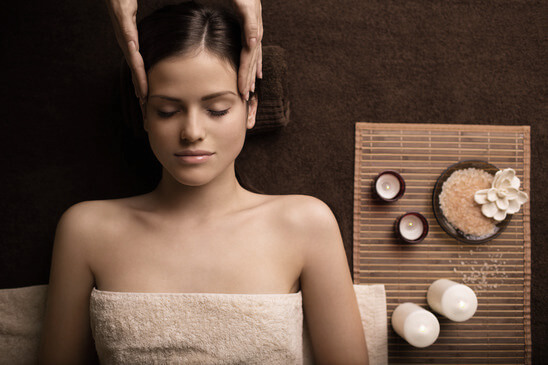 These natural therapies will help balance energy, reduce stress and enhance beauty. 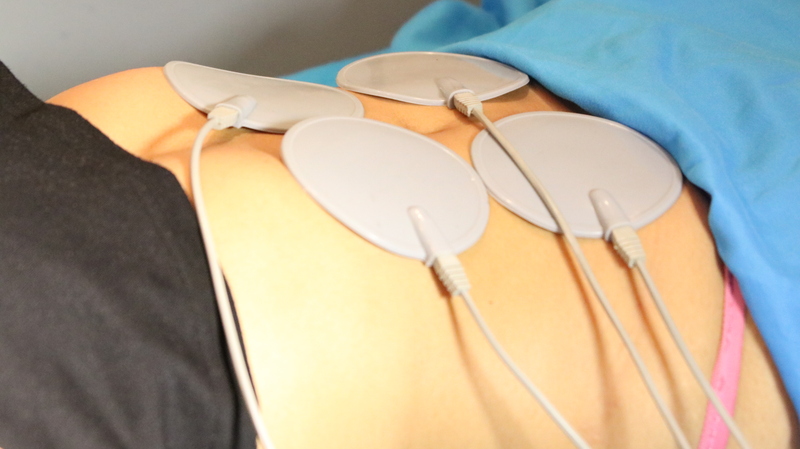 Safely achieve pain relief and optimal health while promoting emotional and physical well-being. Great customer service and the Dr. Was very good, took her time to ask all the questions and to explain the procedure. If you have questions or need additional information, please call: (305) 740-0740 or use our Contact Form!